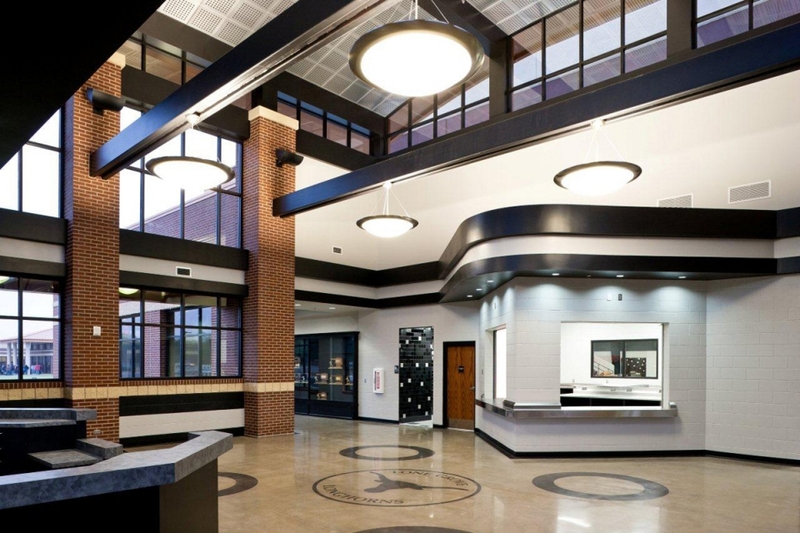 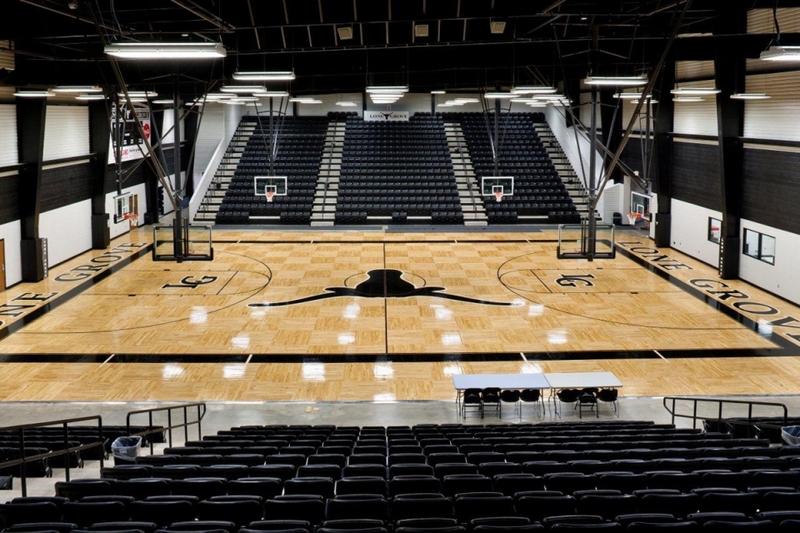 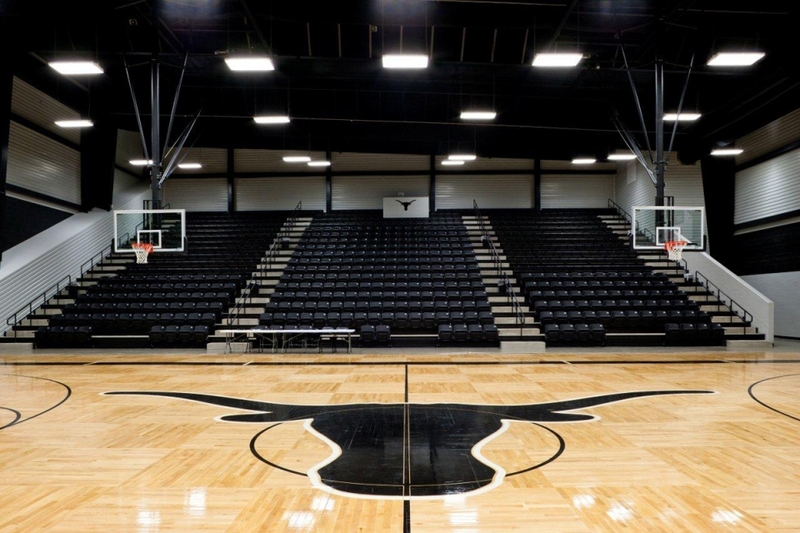 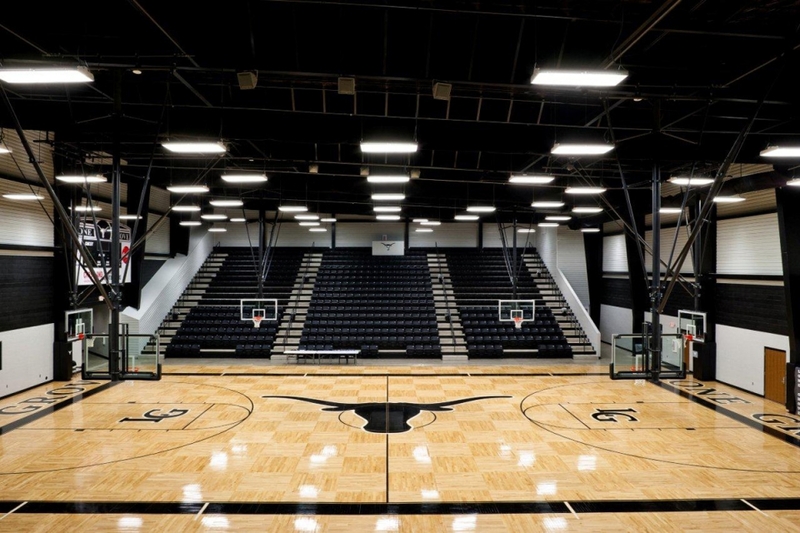 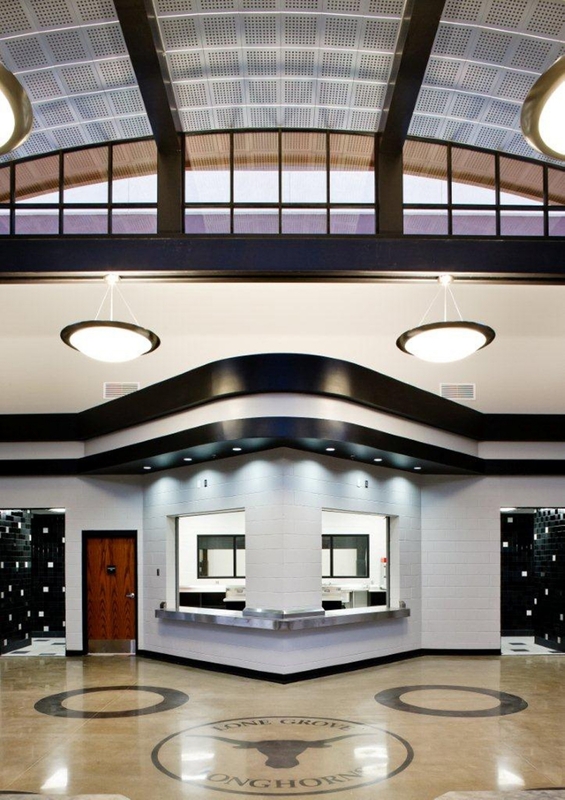 The 34,118 square foot gymnasium facility for the Lone Grove Public School System seats 1,500 spectators and includes four locker/dressing rooms to accommodate varsity, junior varsity, and visiting team athletes. 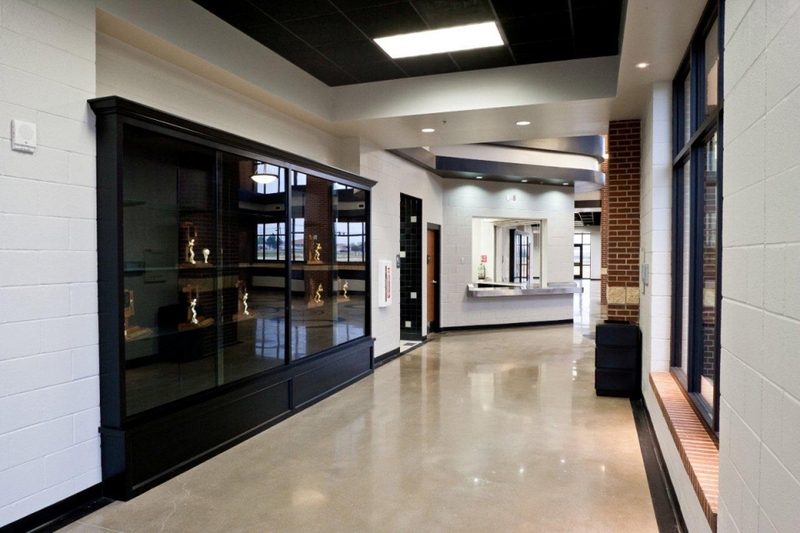 The gymnasium has a central concession area with glass windows overlooking the courts to allow for viewing of sporting events. 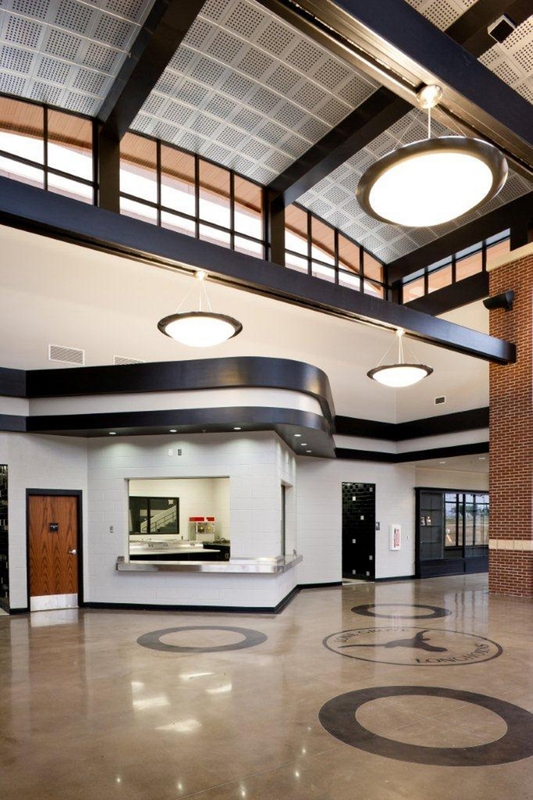 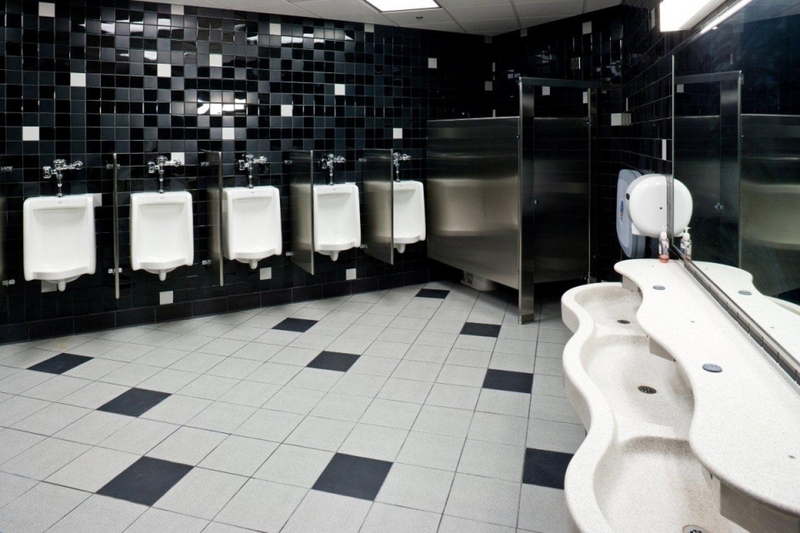 Also included is ample storage and secured areas which double as a storm shelter. 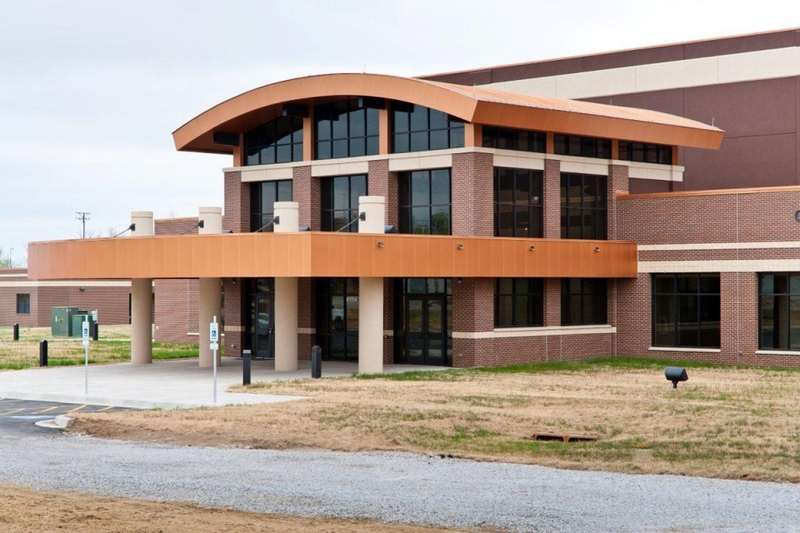 The central two-story entry will also be used as the main entry for their future Auditorium.